On the Azure team, we spend a lot of time listening to our customers and understanding what makes them successful. We’ve started to compile a handful of routine activities that can help you get the most out of Azure. Highly effective Azure users understand that optimization is never really finished. To stay on top of the latest proven practices, they regularly review Azure Advisor. Advisor is a free tool that analyzes your Azure resource configurations and usage and offers recommendations to optimize your workloads for high availability, security, performance, and cost. Examples of popular Advisor recommendations include rightsizing or shutting down underutilized Virtual Machines (VMs) and configuring backup for your VMs. You can think of Advisor as your single pane of glass for recommendations across Azure. 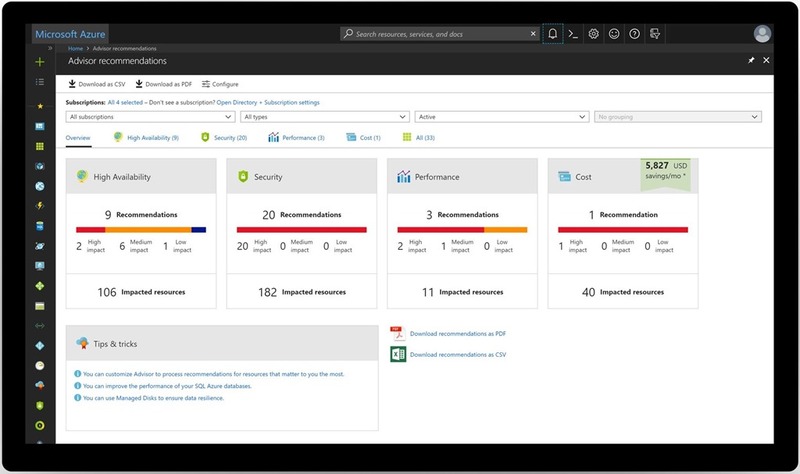 Advisor integrates with companion tools like Azure Security Center and Azure Cost Management, which makes it easier for you to discover and act on all your optimizations. We’re constantly adding more recommendations, and you’re constantly doing new things with Azure, so make it a habit to check Advisor regularly to stay on top of Azure proven practices. Review your personalized Advisor proven practice recommendations. Check out Azure Advisor documentation to help you get started. We live in a world of always on, and highly effective Azure users recognize that they need to stay in control of their Azure resources anytime, anywhere, not just from their desktop. They use the Azure mobile app to monitor and manage their Azure resources on the go. With the Azure mobile app, you can check for alerts, review metrics, and take corrective actions to fix common issues, right from your Android or iOS phone or tablet. You can also tap the Cloud Shell button and run your choice of shell environment (PowerShell or Bash) for full access to your Azure services in a command-line experience. Download the Azure mobile app to stay in control on the go. Explore the Azure mobile app in this video demo. Highly effective Azure users recognize how important it is to stay informed about Azure maintenance and service issues. 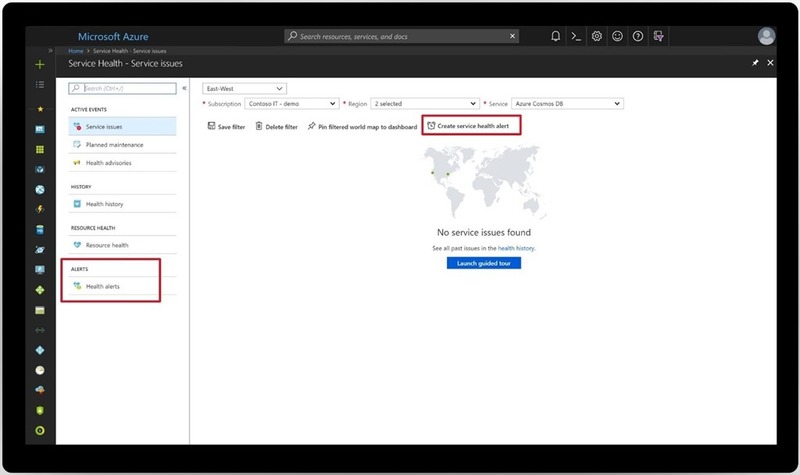 They turn to Azure Service Health, a free service that provides personalized alerts and guidance for everything from planned maintenance and service changes to health advisories like service transitions. Service Health can notify you, help you understand the impact to your resources, and keep you updated as the issue is resolved. Send an email to a dev team when a resource in a dev/test subscription is impacted. Update ServiceNow or PagerDuty via webhook to alert your on-duty operations team when a resource in production is impacted. Send an SMS to a regional IT operations manager when resources in a given region are impacted. Stay informed during issues and maintenance by setting up your Azure Service Health alerts. For more information, read documentation on creating Service Health alerts. The pace of change in the cloud is rapid. Highly effective Azure users understand that they need all the help they can get to stay up-to-date with the latest releases, announcements, and innovations. 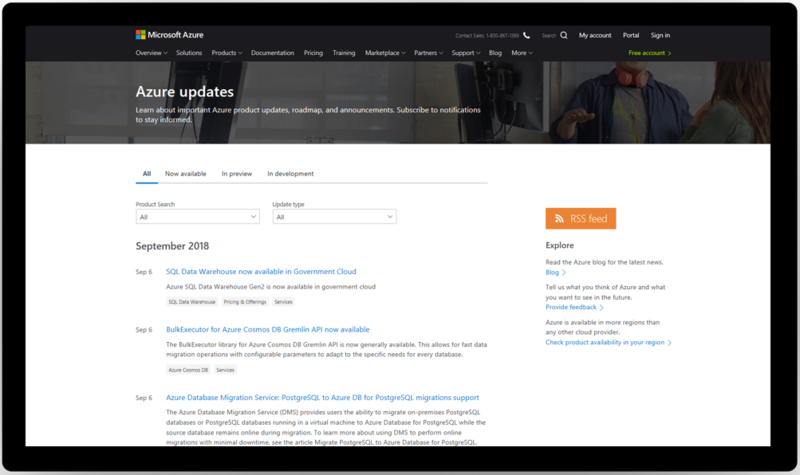 The Azure updates page on Azure.com is the central place to get all your updates about Azure, from pricing changes to SDK updates. Highly effective Azure users go beyond simply bookmarking the Azure updates page — they subscribe to products and features that are relevant to them, so they’ll receive proactive notifications whenever there’s an announcement or change. Subscribe for your Azure updates. Explore product availability by region to find specific release dates for your preferred regions. The skills required to advance your career don’t come easily. Highly effective Azure users are always striving to learn new skills that will help them achieve their goals. Microsoft Learn is a fun and interactive way to learn Azure quickly. With Microsoft Learn, you can master new Azure skills with step-by-step tutorials including videos and hands-on learning. Learning on your time: Free tutorials and modules aligned to role-based certifications to fit your schedule. Learn by doing: Free interactive, in-browser coding environments provide hands-on experience. Get recognized with achievements: Complete modules, test your knowledge, and earn and share achievements to recognize your Azure skills. Learn the way you want: Choose from free self-paced tutorials, hands-on learning, structured online courses from Pluralsight, and instructor-led classes from learning partners. Microsoft also has a partnership with Pluralsight, offering over 130 courses to prepare you for Azure certification via online courses and videos. Start by taking the Azure Role IQ assessment to measure proficiency in the collection of technology skills required to succeed in a specific Azure role. Each assessment identifies your skills gaps and recommends courses to become an Azure expert. Take an Azure Role IQ and begin your learning journey for one of the role-based certifications listed below. This list of habits of highly effective Azure user is by no means exhaustive. There are many more, which is why it’s important to constantly share and learn along with your peers in the Azure community. Regardless of how you’re using Azure, start putting these five habits of highly effective Azure users into practice today.